The newest exhibit in the Kister Buildng on the campus of the Wayne County Historical Society is a celebration of restaurants from Wayne County that have been a mainstay in our community for around 50 years. 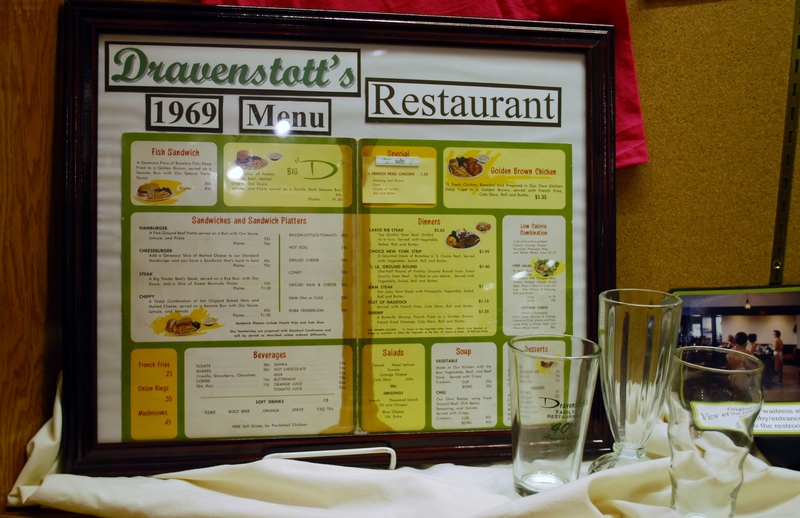 Beginning Sunday, July 28th and running through Saturday, October 5th, 2013, “50 Years or So…Restaurants Serving Great Food” will showcase these establishments and remind us of what has made them the staples of culinary offerings in Wayne County. 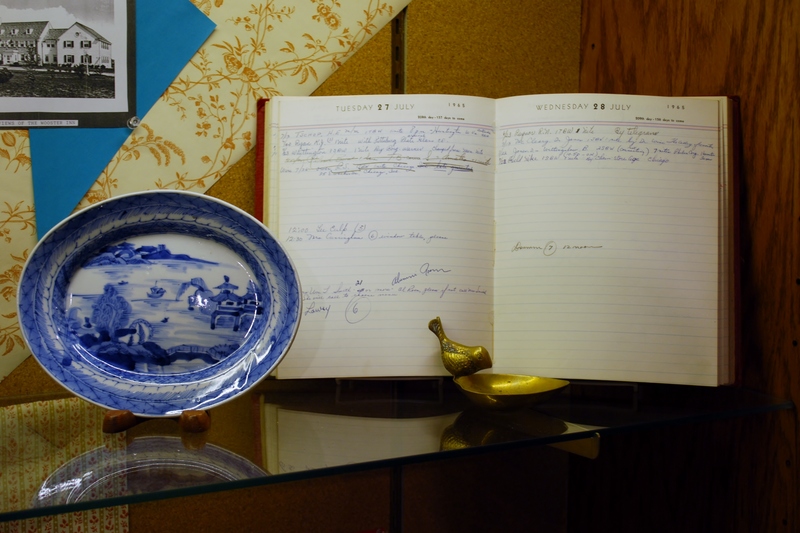 The exhibit is the brainchild of the Wayne County Historical Society’s own President-Elect, Elaine Peterson, along with local Wooster history guru, Ann Gasbarre. While working on last year’s exhibit celebrating the historical societies of Wayne County, Elaine was able to work with many different individuals from around the county. When thinking of what exhibit she wanted to do next, she had a great group of knowledgeable people from which to draw information. The exhibit was originally meant to showcase only restaurants in Wayne County that have been in existence for 50 years. After some research, however, this would have left out several places that were just under the 50 year mark including TJ’s and Greenleaf restaurants; so, the exhibit added the “or so” to its title. 11 restaurants are featured in the exhibit including Betty’s, Bishops, Coccia House, Dravenstott’s, El Rancho Grande, Greenleaf, Islay’s/ The Parlor, Kidron Town and Country, The Wooster Inn, TJ’s and the Wooster Country Club. There is also a section for “Gone but Not Forgotten” which includes popular restaurants in the area that are no longer in operation. These include Aunt Molly’s, Benny’s Steak House, Dime-A-Mite, Dyes Dairyette and Restaurant, Hamburger Inn, Martin’s, Mini’s Diner, Terminal Restaurant (at the Inter-Urban station), Town and Country of Jefferson, and Wooster Farm Dairies. The exhibit includes many interesting items from old menus and signs to dishes and cookware. The El Rancho Grande display case features an old cash register that was originally used at the Inter-Urban terminal as well as homemade spaghetti sauce that was sold at Buehler’s. 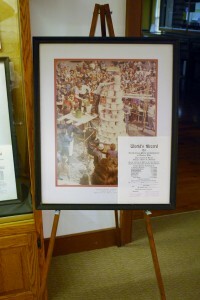 The Islay’s/ Parlor case shows off several pictures of their world’s largest sundae victories, the first of which occurred in 1971 and weighed 883 pounds and by the 1976 event was up to 5,058 pounds. In the Greenleaf case, visitors will notice a sign bragging $3.65 for a bucket of chicken that would feed 4 to 6 people. Interestingly, a refrigerator at Greenleaf was once used by their then neighbor Green Thumb Floral to house floral arrangements. The TJ’s display includes building plans from the original construction, while the Coccia House case includes an old wooden pizza paddle, pasta roller and a pizza pan. On theme that is evident throughout the exhibit is how much the restaurant industry has changed. El Rancho Grande has a collection of “High/Low” stamps that would be used on patrons as a marker to show their age for alcoholic orders. Matchbooks, once a hot collection item, are very rarely seen these days due to the awareness of the adverse health effects of smoking as well as smoking bans in these public places. Server’s uniforms have also changed dramatically. Nowadays, it is common to see the white shirt/ black pants or polo shirt/ khaki pant option, while fifty years ago uniforms were more intentional and formal. One of the biggest changes is perhaps in the menu items themselves. For example, an old Wooster Inn menu included items such as fruits, jellies, shrimp cocktail, thousand island dressing, strawberry parfait, sorbet and boasted their “roast native turkey”. Décor has also changed drastically at many of these places, while some have remained virtually untouched. Other changes that show the sign of the times include the size of dinner plates. A dinner plate from 50 years ago would now be considered a lunch plate by today’s standards, and a wide variety of sweeteners are now offered at each table instead of just standard sugar. Perhaps Bishops is the best example of how times have changed as the back of their new menus include a QR barcode to scan with your smart phone. The Wayne County Historical Society hopes to gather some older recipes from a selection of the restaurants to compile in to a cookbook that will be for sale at the society in the near future for $2. 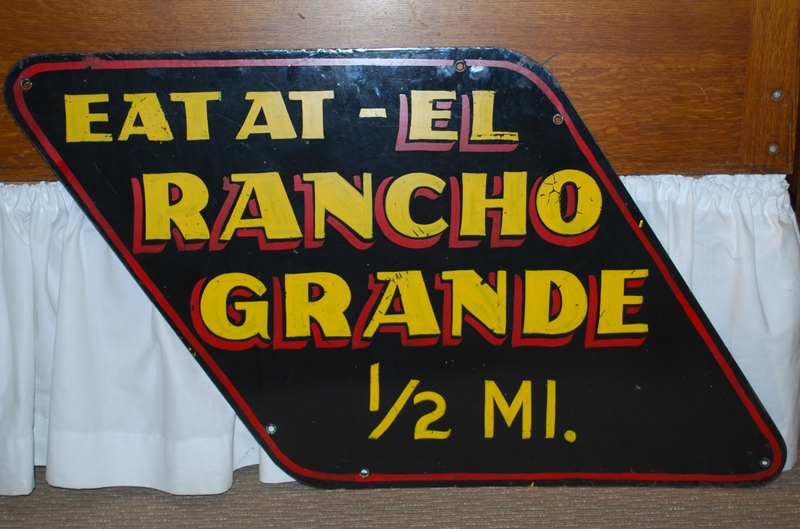 This exhibit opens to the public on Sunday, July 28th from 2:00-4:00pm and will include refreshments by El Rancho Grande and The Wooster Inn. The exhibit ends Saturday, October 5th so don’t miss your opportunity to see how these restaurants have evolved over the years and reminisce about the way things use to be. After all, it may be another 50 years until you can see this exhibit again! Great exhibit! FYI…Libby’s Inn was not mentioned in the Gone but not Forgotten section. It was owned by Dom & Libby Iannarelli. Do you know what the name of restaurant that was beside what is now The Super 8 motel ?